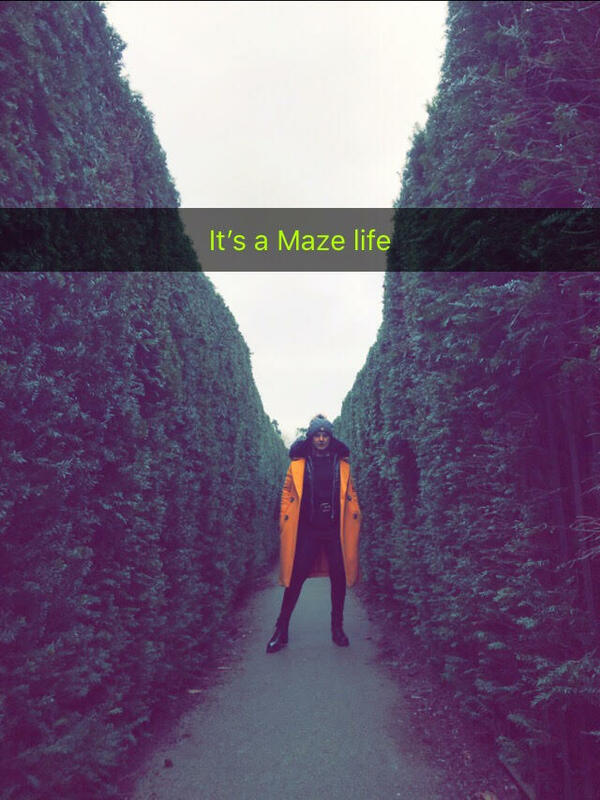 Here is a picture of Mistress in one of the many mazes I have visited, I am not sure what it is about mazes but I can not get enough of them, I will be doing the longest maze in the UK soon and taking some pictues at the smae time, so eyes peeled. Well its 2019 and this is the first time I have written a news page for you all. I find having to get on to the pc where all my main things are a had task believe it or not, as most is done via my phone or laptop getting on here takes a little time. However I will be uploading a little journal to my onlyfans every few days of my goings on so my blogs will move there but then I will bring them together for a news feed for here hopefully once every month. I have been in and out the dungeon, I have been playing in Derby and also filming in London with Jessica Wood. I have been quite hectic. As for my tour I did hope to be in Berlin at the end of this month but sadly that is not going to be the case, I just do not have the time. I will be touring and am definitely hoping for Paris and Scotland and London or the outskirts. I am also in Prague at the OWK again this year filming, I will be there in early October, If anyone would like to come along with me as a filming sub then do contact me. There will be a fee in place of 200 euros for your accommodation at the OWK, whether that be in a bed in your own room or in the cage in my room, that will depend on how I feel and how good you have been. You will also have your flights to pay for, so as I said do contact me, the OWK is one amazing place and somewhere every slave should try once in their lifetime. So Paris Tour is looking like August. I am in London well Watford actually on the 16th of Feb I will be with Jessica Wood, so maybe there could be a chance for you to have a Double Dom session with one of us, or I will be offering sessions from where I am staying on the 15th of Feb contact me via email for details. I am also offering Double Dom or Triple Dom with Vivian L Amour & Miss Kitty Bliss in Derby on the 28th of Feb, I am also available for solo sessions on that day, these sessions will be held at Vivian L Amours studio in Derby. I am looking for filming subs for filming in Derby on the 27th so contact me via email for this also. Photo taken by Purple Tog, and this is a very stern look from a stern Mistress who knows what she wants. I had a very interesting night a few days ago, when I had a male who I had never met before and still as yet to see me. I met him at the side of a road and he had his back turned to me, he was blindfolded and then shown into my car, his hands was then cuffed with steel cuffs. I drove without speaking to an unknown location for this male, he was taken out and then put into the back of a van, where I told him to strip, still blindfolded but cuffs taken of. Once stripped he was put inside the leather bodybag and left. I left him there then for the night, the next morning the same things was done again in reverse and he still has not seen my facts in real life. It was such a buzz and it felt so good. Remember its me that you are here to serve and me you want to impress.